This crocodile cake is a dairy and egg free chocolate cake! 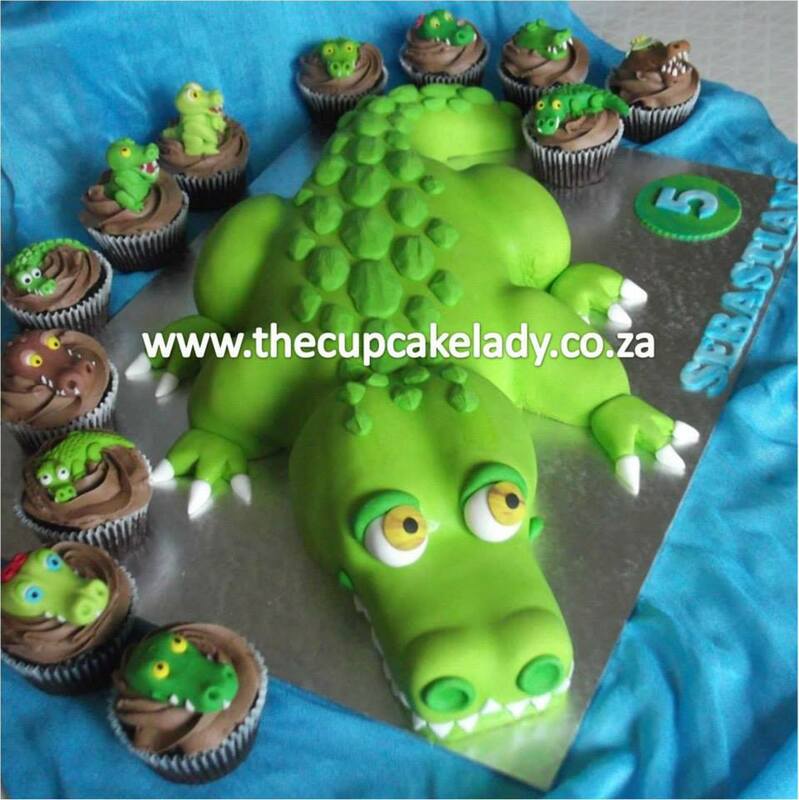 Nadine took advantage of a special offer for a sculpted cake with 12 free cupcakes and I decorated the cuppies with sugar paste crocodiles as well. I was very pleased with the end result, as was Nadine’s little boy!